The idea of super intelligent machines may sound like the plot of "The Terminator" or "The Matrix," but many experts say the idea isn't far-fetched. Some even think the singularity — the point at which artificial intelligence can match, and then overtake, human smarts — might happen in just 16 years. The question is, could we evolve ourselves out of existence, being gradually replaced by the machines? AI’s decision-making process is usually too difficult for most people to understand. And interacting with something we don’t understand can cause anxiety and make us feel like we’re losing control. 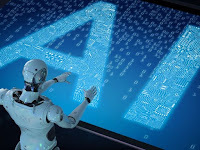 Many people are also simply not familiar with many instances of AI actually working, because it often happens in the background. Instead, they are acutely aware of instances where AI goes terribly wrong. Intelligent Robots Will Overtake Humans and a striking example is Xinhua's first English AI anchor who made its debut at the World Internet Conference in Wuzhen 2018. 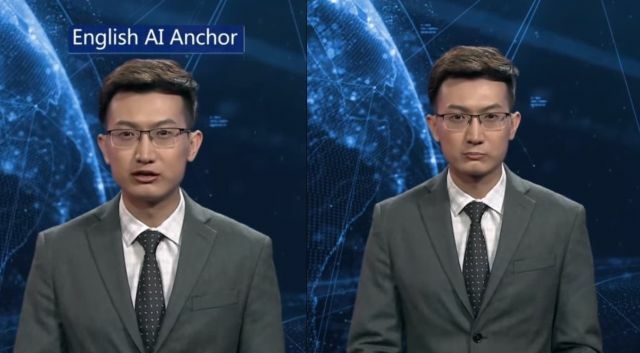 China’s state-run Xinhua News Agency unveiled a deeply creepy artificial intelligence news anchor at the government’s World Internet Conference tech expo. The AI newscaster is a pure virtual mouthpiece in a country with tight controls on press freedom, and its first report this week featuring fawning coverage of China’s trade show felt distinctly dystopian. The virtual anchor’s features are based on those of a real-life Xinhua host named Zhang Zhao. But as with most attempts at computer-generated humanity, the virtual anchor is both impressively realistic and yet unsettlingly soulless. Its limited range of motion and expressions becomes repetitive after a short time, while its gray crisp suit and perfectly coiffed hair are even more rigid than human cable news hosts. According to huffingtonpost, newsrooms have increasingly implemented AI technology in recent years, with outlets including The Washington Post using AI to write short reports on such topics as the outcome of sporting events or to send news alerts.